The Cher Show is as big and brash as the woman herself. This formulaic jukebox musical traces the life and rise to fame of Cherilyn Sarkisian. 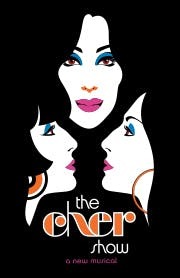 Like the play depicting the life of Donna Summer, there are three Chers—Stephanie Block, the outstanding adult star; Teal Wicks, the young woman both embracing and in conflict with her success with Sonny Bono; and newcomer Micaela Diamond, young Cher bullied by classmates because of her looks and dyslexia. Each actor depicting Cher is excellent as Cher’s journey unfolds. Her mother, Georgia Holt (Emily Skinner) stood by her daughter when others told her she was no good. The scene gives rise to the song “Half Breed.” Familiar numbers mark the most memorable and traumatic events in Cher’s life from “I Got You Babe” marking the start of her love affair with Sonny until “Bang Bang (My Baby Shot Me Down)” marking the couple’s break-up. She muses about what could have been with “If I Could Turn Back Time.” Cher fearlessly ventured into all areas of entertainment: pop star recordings, television programs, movies, and now theatre producer. She recounts overcoming 50 years of challenges from the abandonment by her father, her academic disabilities, love affairs and divorces all while performing in clubs, on television, stage, and screen to support her family. The lush production is enhanced by Bob Mackie’s outlandish and exquisite costumes—a defining aspect of Cher’s popularity. Additionally, the brilliant choreography capped by a show-stopping solo backs up and moves the plot forward with eye-popping costumes on lithe, beautifully sculpted bodies. Despite its derivative format, the show is bound to b a hit when it opens because of the incredible talents of the three Chers used effectively to chronicle her biography written by Rick Elice. This production outdoes spectacles for which Broadway is noted in its music, dance, and costuming. It is pure entertainment. Music, colors, the vibe and the energy. Stephanie J. Block is CHER!!! Those costumes, that choreography, those dancers!! Was blown away by this and will hopefully see it again soon!! Show was phenomenal! The Cher actresses deserve Tony awards! Plan to see again! The Cher Show is as big and brash as the woman herself. This formulaic jukebox musical traces the life and rise to fame of Cherilyn Sarkisian. Familiar numbers mark the most memorable and traumatic events in Cher’s life from “I Got You Babe” marking the start of her love affair with Sonny until “Bang Bang (My Baby Shot Me Down)” marking the couple’s break-up. She muses about what could have been with “If I Could Turn Back Time.” Despite its derivative format, the show is bound to b a hit when it opens because of the incredible talents of the three Chers used effectively to chronicle her biography written by Rick Elice. This production outdoes spectacles for which Broadway is noted in its music, dance, and costuming. It is pure entertainment.